This week we have a lot of holiday-themed stuff to do, including a holiday open house at Mt. Nittany Winery, Bellefonte Victorian Christmas, Holiday Fest at McCann School of Art, and yet another great Tait Farm tasting. - Get into the holiday spirit at the Mulled Wine & Gingerbread Holiday Open House at Mt. Nittany Winery, to be held Saturday and Sunday, Dec. 12-13. Enjoy great wine and delicious finger foods, and while there, pick up a Mt. Nittany Wine Basket, filled with wine and locally made food and gift stuff. 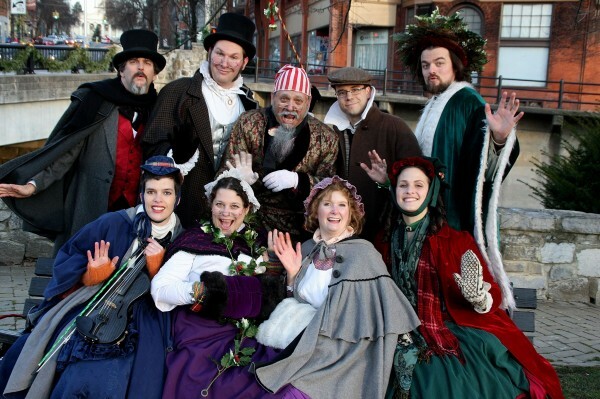 - Also on Saturday, and Sunday, the Bellefonte Victorian Christmas will be in full swing. You can enjoy a wide range of events from carriage rides through town to Breakfast with Santa to a tour of Bellefonte, which really is a beautiful town during the holidays. Also, get your local food fix with a delicious sandwich made from local pork at Scott’s Roasting. - One of our area’s hidden gems is the McCann School of Art near Petersburg, and a great way to experience it is going to the Holiday Fest on Saturday from 1:00-5:00 p.m. Tickets to the event are $75, and includes a minimum of three take-home arts and crafts projects, plus food, wine, and chocolate-sampling. There will be live music, and the food and art come from local folks. - Tait Farm is having another Sampling Saturday, featuring local honey from vendors such as Tait Farm, Bumbleberry Farm, and more. The tasting will be held from 1:00-5:00 p.m.